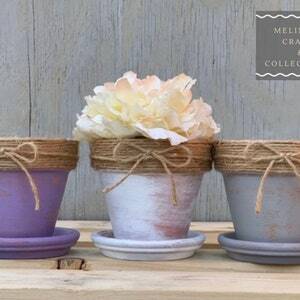 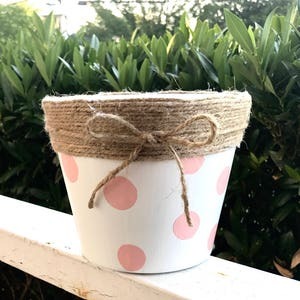 These terra-cotta pots are the perfect enhancement to any indoor or outdoor setting. 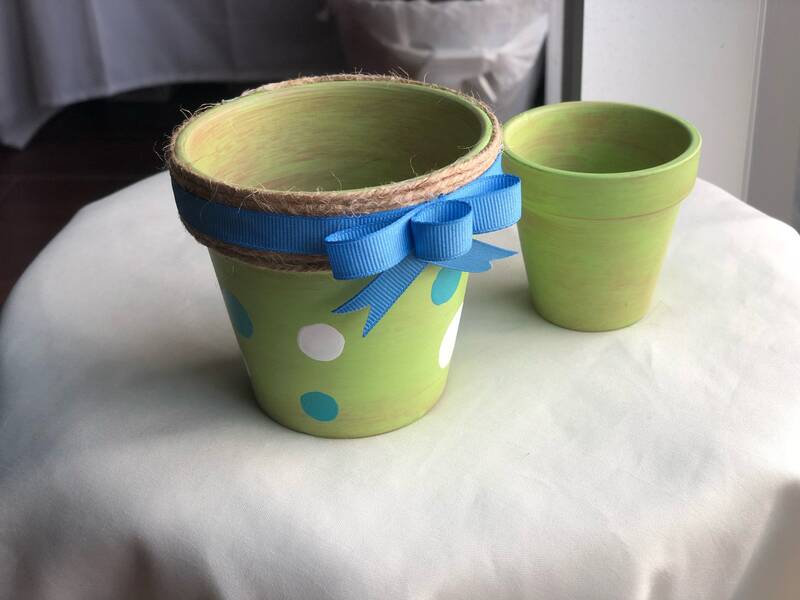 They would also serve as a beautiful centerpiece for a baby shower. 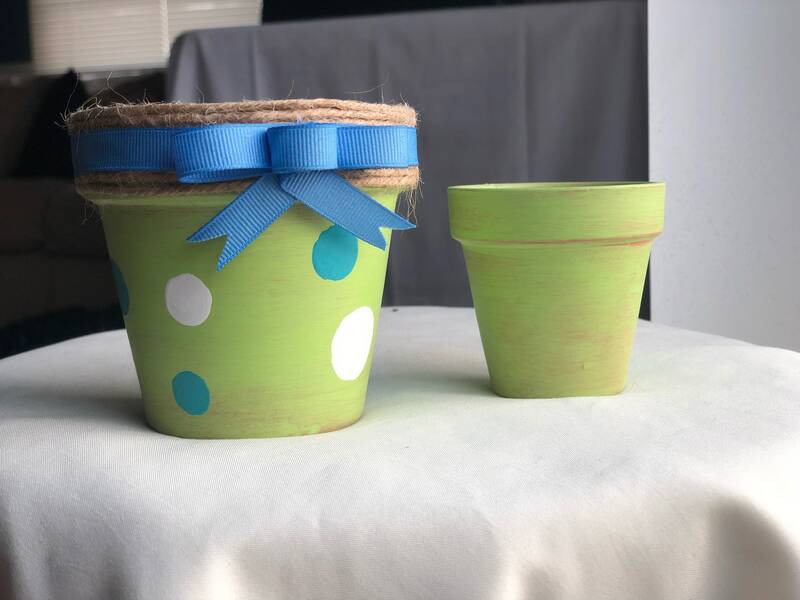 Whether used to display plants or a beautiful bouquet of mini balloons, they’ll definitely set a whimsical tone. 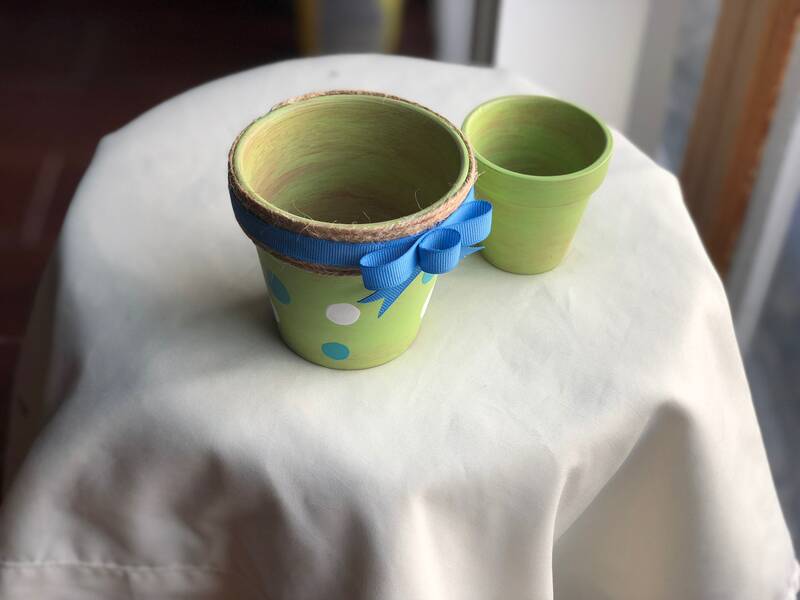 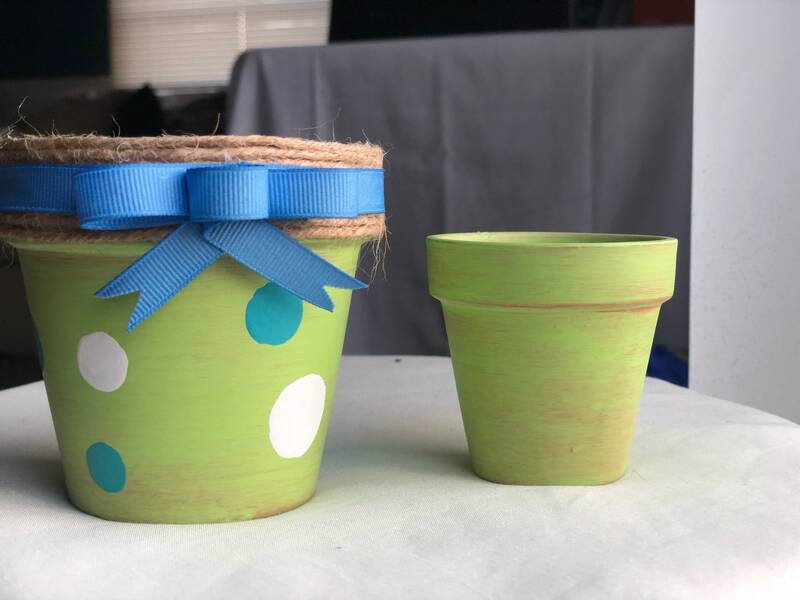 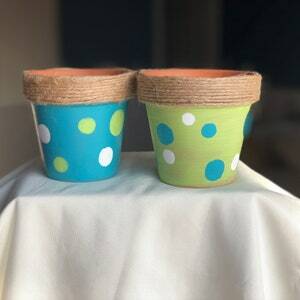 The first pot is painted green with blue and white polka dots. 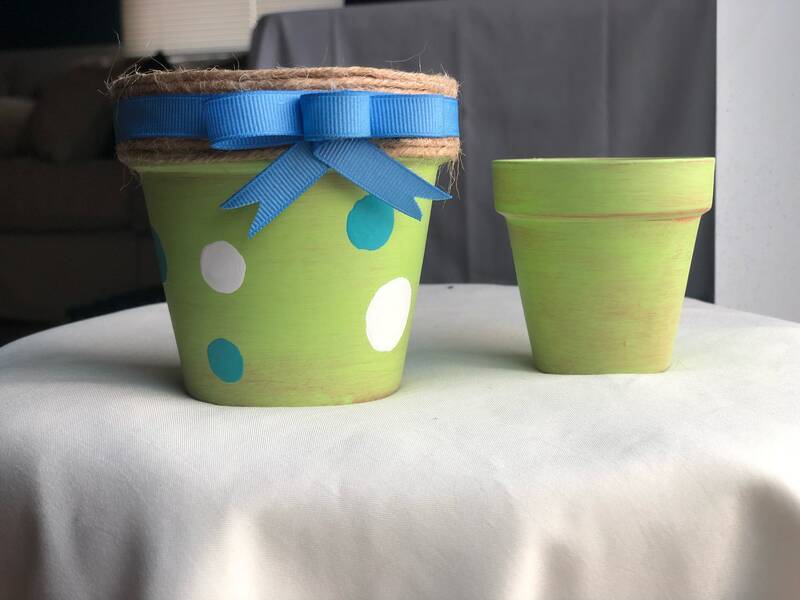 The second pot is painted green. 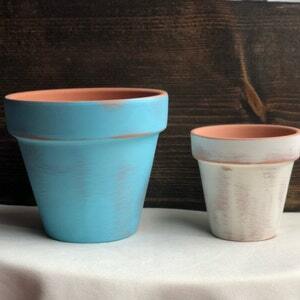 They’re both distressed sealed with a clear matte finish.